I just missed seeing Shecky Greene at Davey's Hideaway in Palm Springs. This place reminds me of the Reagle Beagle from Three's Company. It's mostly older couples who are regulars talking about the good old days. I had the salmon with rice pilaf (not pictured). This is the side of Palm Springs I like, not the new Ace Hotel side. I'm really getting old. 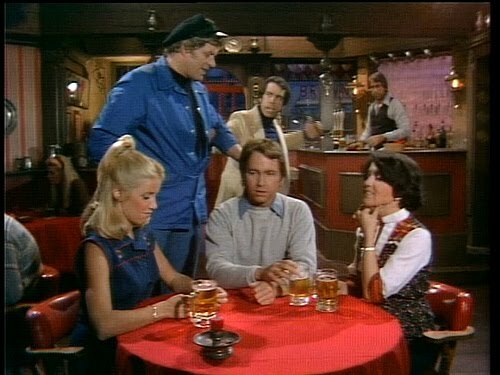 i just saw an episode of larry sanders with john ritter on it and he was hilarious. i miss him.